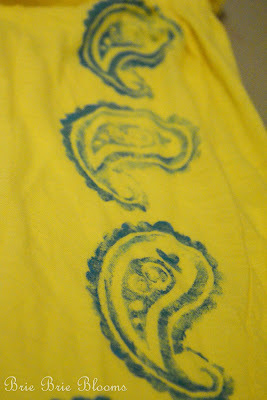 I’ve used fabric stamps to “fix” a lot of my daughter’s stained clothes but I never thought to use them on my own clothing. 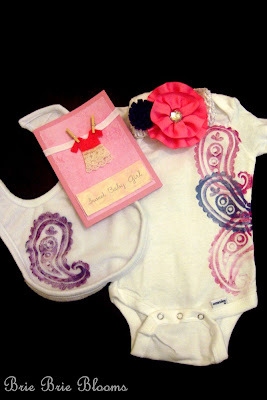 This week I tried a grown up version of fabric stamping and loved the outcome. 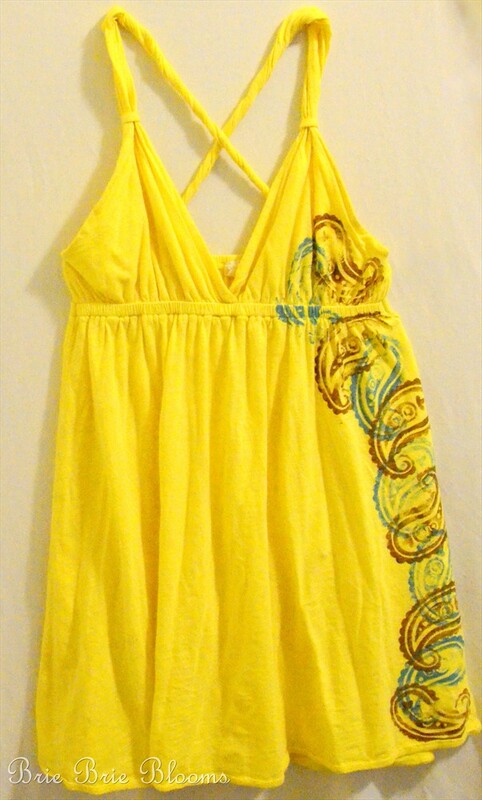 I have a bright yellow dress from last summer. 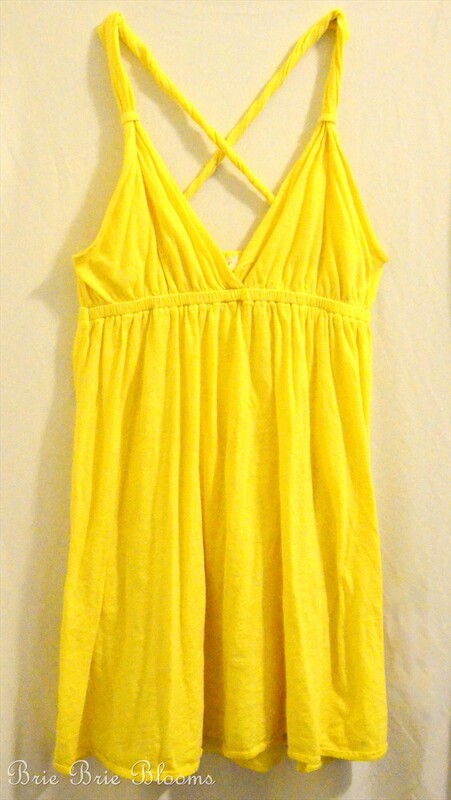 It’s a cute summer dress but can also be paired with a tee and leggings. Unfortunately there was a weird stain on the top of the dress. 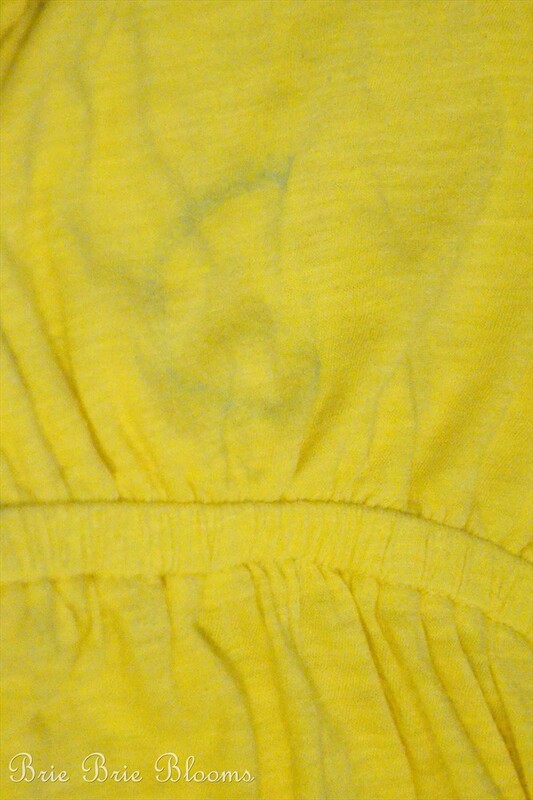 Unless I was wearing the dress it was really difficult to spot the stain. 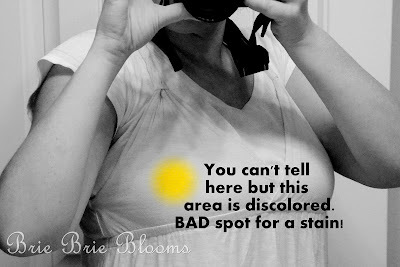 I used chalk to outline the discolored area to be sure I covered it. 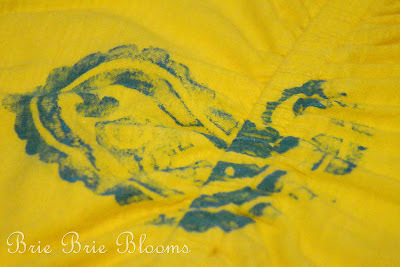 I’ve used this stamp before on baby items and love it. 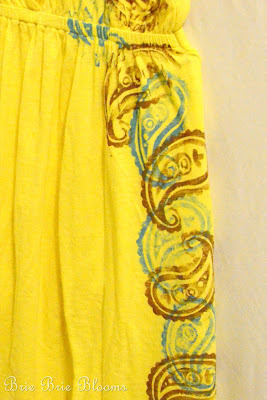 Depending on how distressed you want your finished product to look, apply fabric paint directly onto the stamp. 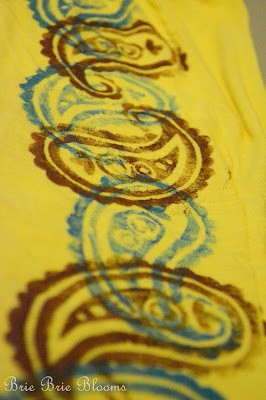 Then be brave and stamp it directly onto your fabric. I knew it would be difficult to stamp an area with elastic and creases so I tried to give the stamp a very distressed look. 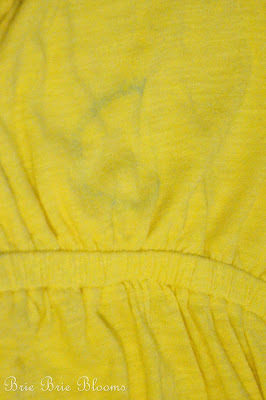 I stamped all the way down the side of the dress. Then I used a second color for more stamping. I probably would have just thrown this into my scrap pile with out the makeover. 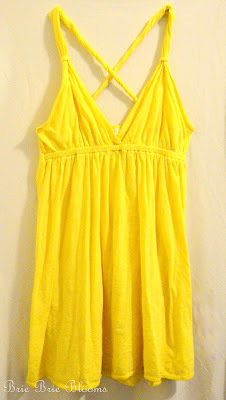 I’m excited to wear my “new” dress today! I love it! The colors are great, too. This is a great idea, looks better than the original. 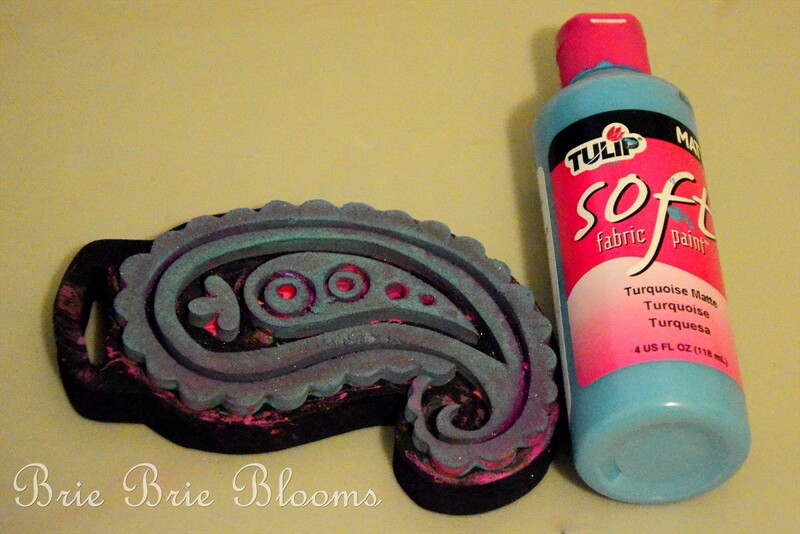 You don’t need the stain to make use of this idea! wow what a great idea! Thanks for visiting my blog and following. Following u back now! 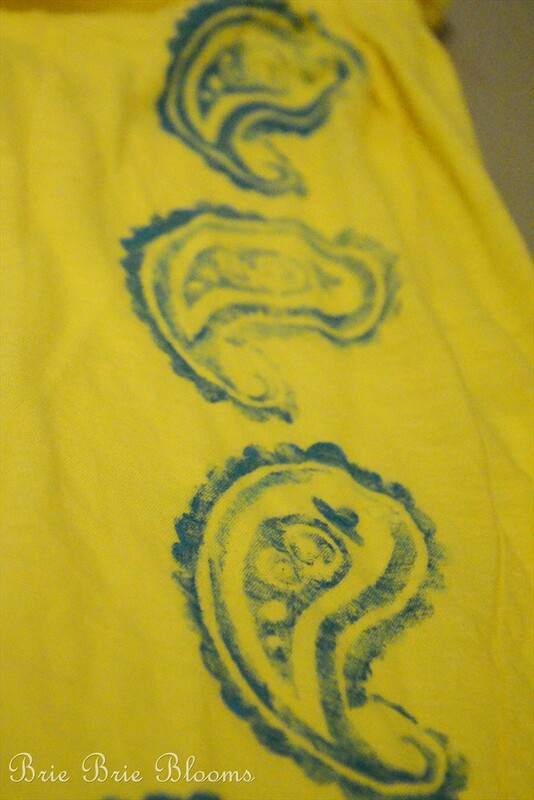 I think I might do this to some solid shirts of mine! Have a great day! PS. 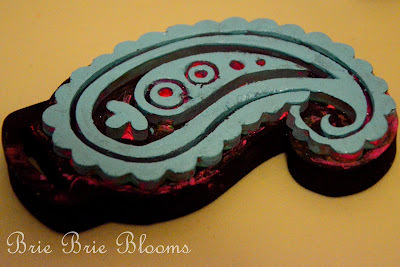 Just stopping by to say hi, from the AZ bloggers group on Facebook…Im in Tucson! This is great i have a few dresses like this one now i know what to do with them.